When we talk about missions, the word missionary refers to a person who uproots themselves and moves to a foreign culture in order to make the gospel known. These men and women do so because they have experienced a call from God and they follow this call at great personal sacrifice. It is this sacrifice, which has led many people (myself included!) 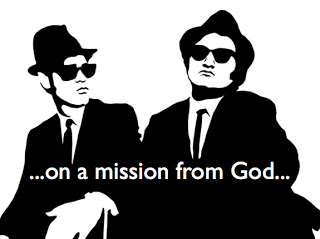 to beg God never to call me to be a missionary. ands of Jesus however, I am compelled to understand the definition of a missionary more broadly. Jesus was always sending his followers out. In fact, our “sent-ness” is meant to be understood as naturally flowing from Jesus himself being sent by the Father. And when Jesus gives the Great Commission – “Go and make disciples…” – participation does not seem to be optional! Then, in the opening chapter of Acts, Jesus lets his followers know that they will be witnesses in Jerusalem (locally for them), Judea and Samaria and to the ends of the earth. Or as I have come to like to say, some will embrace Jesus’ call to “go” by going and others will embrace the call to “go” by staying! So who is a missionary? My answer is everyone, no matter if you “go” by going or “go” by staying. Some sacrifice all and journey to foreign lands to make Jesus known and others lay down their lives for those in their local neighborhood. In either case, one can take up the call of Jesus to make disciples. I love meeting people who are serving God around the world and we are blessed to be part of a family of churches fully committed to sending people to the ends of the earth. Nevertheless, the call to mission is not just theirs – it is yours as well! This is a big reason why we have dropped the “s” from missions and worked to call the entire church to mission.